The employability modules really stood out to me, as I felt as though they would bring new experiences for me to try out. Tell us why you chose to study at Nottingham Trent University? 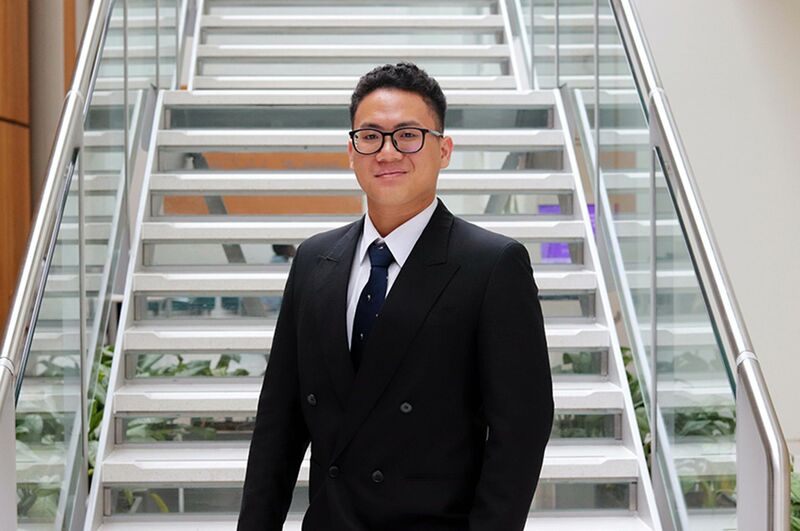 "Originally, I came to NTU to study Primary Education. So, I applied to NTU and had my interview for Primary Ed BA. However, once I had the unconditional offer I got cold feet and reapplied to study English instead, giving me the option to do a PGCE after my undergraduate degree. I found NTU very accommodating when I reapplied and the process was very smooth." "The employability modules really stood out to me, as I felt as though they would bring new experiences for me to try out. There was a lot of support and help from the University, which was attractive to me. English is a subject I have always enjoyed from a young age, especially creative writing. I knew that pursuing something I already enjoyed would make my time doing a degree at University a lot more of an enjoyable experience. Seeing opportunities to study creative modules on my course and the chance to write a dissertation in that area stood out to me." 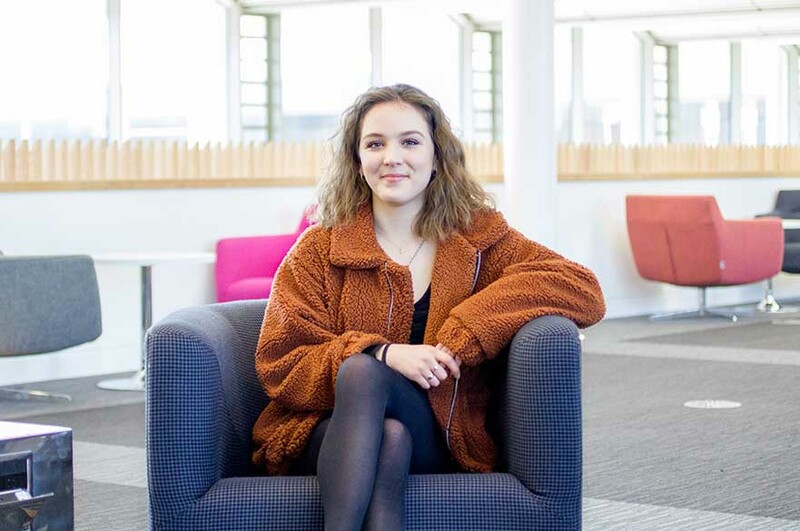 "The support has been amazing throughout my time at NTU, I have always had access to help and one to one meetings with my tutors and lecturers, which has been incredible." "I have particularly enjoyed the employability module as it has broadened my horizons in future jobs and interested me in gaining more experience in the area I was working in. I personally feel as though this module has been the most useful as it has shown me how I can apply an English degree into a job outside University if I decide not to go into teaching." What practical equipment do you have available to you? Please provide information about the standards of the equipment, availability, relevance to your course, etc. "The resources available to me such as LibraryOneSearch have been extremely useful when researching other journals and articles online when writing my essays. There is a fantastic database with access at University and home." How have you found the gym / library / Students’ Union / Student Support? "The Uni offer so many facilities available to students. I have been very lucky to be part of a fantastic Swimming and Water Polo club through the University, which has made my University life very enjoyable. I highly recommend joining a society as that will enable you to expand your field of friends and experiences. 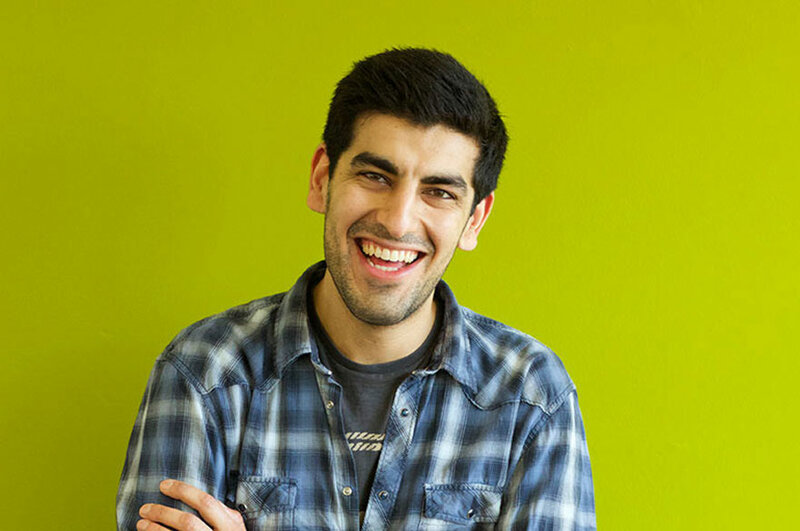 Trent provide so many options for you to get involved and I have appreciated how accessible it has been for me." What do you enjoy most about studying at Nottingham Trent University? 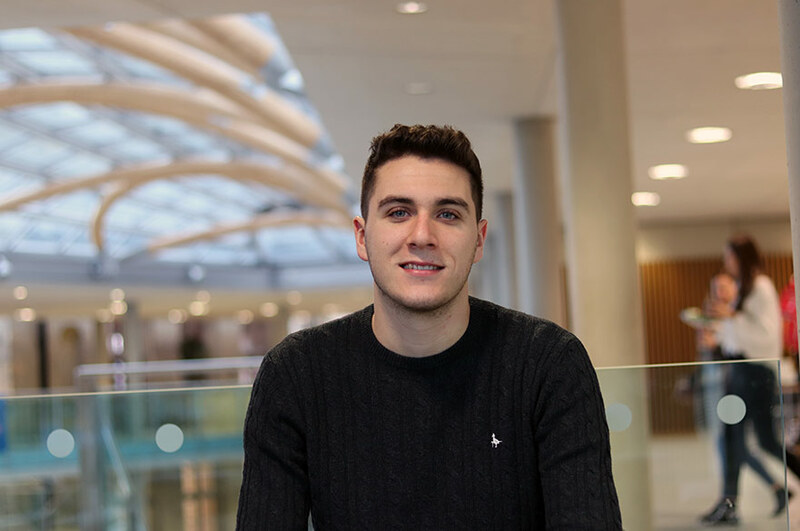 "Nottingham Trent University has provided me with such fantastic opportunities within my course. I have always had support from my tutors and lectures which has made my time studying at Nottingham Trent University very enjoyable. Forming that personal relationship between the lecturers and tutors is something I found very important when embarking on my course." "Nottingham is such a lovely city to live in, especially as a student. I live in the city and commute to Clifton for my lectures. Life on campus last year was also very enjoyable as I stayed in halls in Clifton, which was very convenient for me." What has been your greatest achievement as a Nottingham Trent University student? "My greatest achievement has been creating and managing an academic conference through my Literary Cultures module. This event was a huge success and I was extremely proud of my work towards it. This not only taught me skills I can apply to other jobs and work experience, it gave me a taste of potential careers I can explore after my degree, which I feel is very important." "I hope to gain as much work experience as possible in as many different fields of work available to me after my degree. I still may go into teaching, as the PGCE is still an option."